By now it is commonly accepted that the old way of developing software, in silos, with a big up front plan and design, with only a single true delivery to customers at the end of the project, also knows as the infamous Waterfall approach is not the best way of doing things. Many development teams have fully embraced the agile approach, while others have not (yet) fully done so. Partial, or early agile transformation attempts can often be characterized by embracing some (but not all) ideas, or certain practices commonly associated with agile development frameworks, such as Scrum, but without fully embracing its principles and philosophies; these teams often get the “what” part of it right, but have not yet embraced the “why” or the “how”. In this blog post, I will focus on how to improve the agile planning session, also known in the Scrum framework as the Sprint planning session. 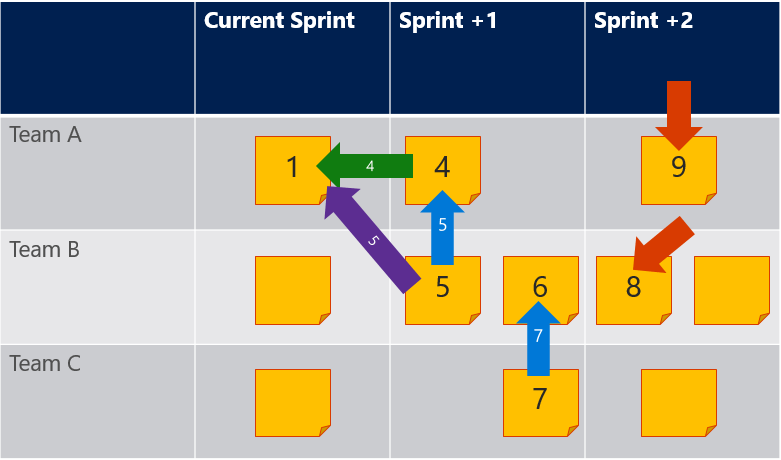 A sprint is a time-box of one month or less (commonly 2-4 weeks) during which the delivery team will develop, test, and build a potentially releasable product increment. Sprint Planning, quite simply, is the act of figuring out the work that needs to be done in order achieve the sprint’s goal, I.e. create the releasable product increment, adding what the Scrum team has decided is the next most valuable functionality to deliver. Sprint Planning, like all other Scrum practices, is a collaborative effort, which is to say, that while the product owner is responsible for maximizing the value created by the delivery team, they, the team are responsible to figure out how to deliver the work. Both are expected to work together to define each sprint goal, rather than having the product owner tell the team what to do. For many teams, especially those transitioning from a command and control style of organization to an agile, self managing style, embracing the change in management style is much more difficult than embracing a different cadence and/or set of practices. This often manifests in planning sessions where the product owner describes what needs to be done, and the team just listen. It really should be more of a discussion. The delivery team needs to collaborate, discuss the goal and the plan with the product owner to ensure that they understand what they are asked to deliver. Writing user stories, while not strictly required in Scrum, is one of the most commonly known Scrum practices. The idea is to describe increments of value from the perspective of one or more users of the product, thus ensuring that the product increment is, in fact, valuable to the users. In order to ensure that user stories are well enough understood, and that they are small enough to fit in a single sprint, the SPIDR technique provides a way to decompose stories into multiple parts, each delivering some observable incremental value to the users. 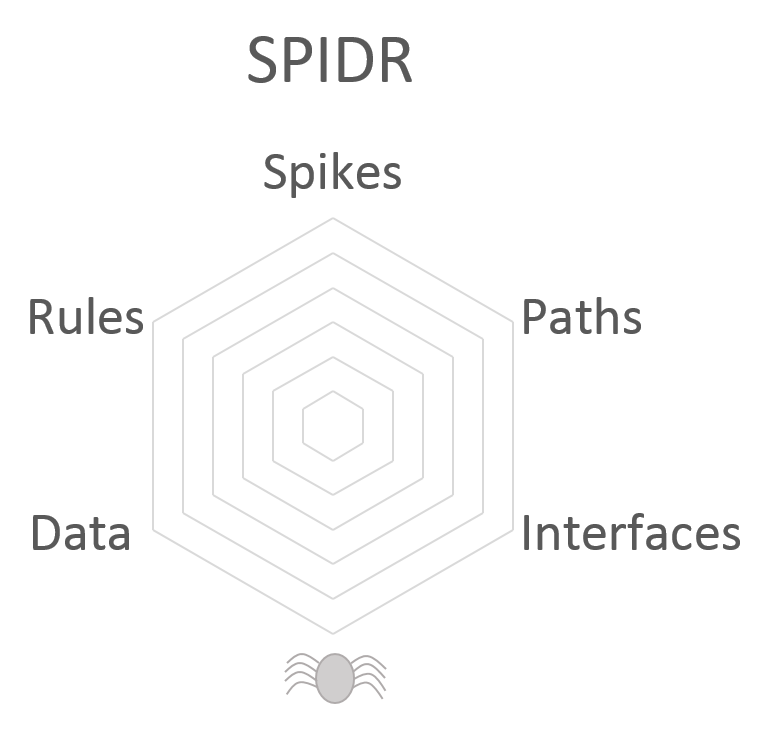 SPIDR is an acronym defining the most commonly used methods of decomposing a story: Spikes, Paths, Interfaces, Data, Rules. The SPIDR technique was created by Mike Cohn, and fully described in his blog. 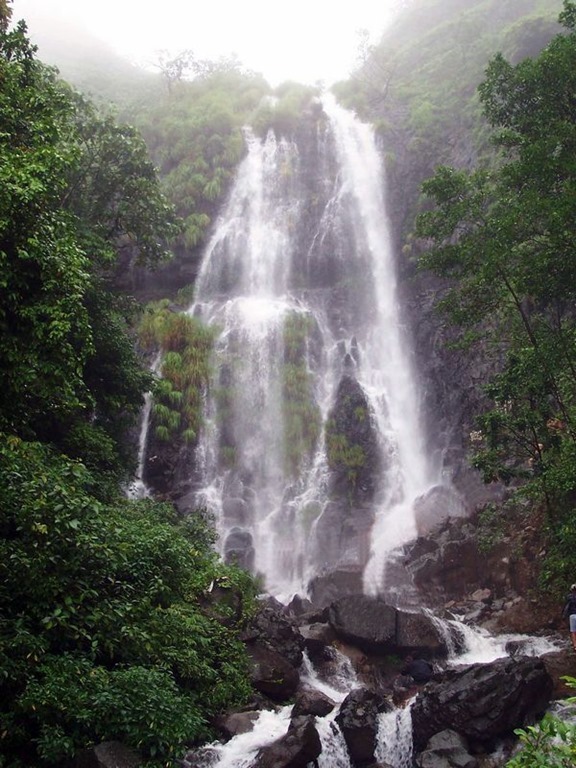 In my work with delivery teams transiting from a waterfall-based world to a more agile, Scrum-based paradigm, I have found that encouraging a rote, a checklist of questions inspired by the SPIDR decomposition technique, helps teams get into the right mindset for discussing a plan, rather expecting a plan to be given from up high. A spike describes a short burst of activity, often necessary to experiment with potential solutions for a complex problem. This will often be the last set of questions that the team will ask, after the requirement itself is understood. Ask your team mates: Do we know know how to do this? Are there any APIs or components that we have to use that have never been used before? Is there anything missing in our skillset, toolset, or our definition of done, that needs to be in place in order to deliver this user story? A path describes a specific flow, or a scenario of using the product. Ask and discuss with your product owner, stakeholders, or subject matter experts: What are the conditions under which the users will be interacting with the system? Are there other ways that this functionality may be used? What if something goes wrong? What do we show our users – any and all users? What can go wrong? Each if statement, switch/case, loop, or other control block marks a different path to be considered. There are often many different ways to interact with a product. Gone are the days where users would only have one option – their desktop or terminal. What are all the various interfaces we need to consider? Web? Desktop? Tablets? Smartphones? Wearables? Command line tools for administrators and automation tools? How should the experience differ from one interface to another? Which interfaces are most valuable, and should thus be considered first? Different inputs beget different outcomes. What data will be provided? What are the data sources? Have we interacted with that data before (do we need a spike to figure out how to get that data?) Consider environmental data – does location affect the outcome? the time or date? Random elements? What data is required vs. optional? What if data is missing? What defaults to use in place of missing data? A rule, either business or a technical standard, describes certain operational constraints. What are the business rules? Special cases? Are there any standards? Quotas? Compliance rules? Security standards? Asking these questions during sprint planning is a great way to start a conversation that will both achieve the principles of collaboration and engagement, and ensure a greater understanding of the value that the product is expected to deliver to its users. This list of questions is by no means an exhaustive list, and is intended to demonstrate the ways in which a delivery team might engage with the product owner, to negotiate with her or him. In the previous post we discussed what WIP (Work In Process/Progress) is, and how to track it. 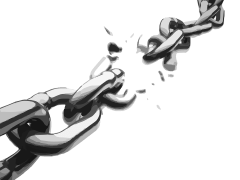 In this post I want to discuss why WIP limits are so important and how they contribute to improving the team’s effectiveness and throughput. Little’s Law describes the relationship between the average throughput in a system, the average process time (a.k.a. Cycle Time) for an item in the system, and the amount of items being processed at the same time (your WIP). For the mathematically inclined reader, this relationship is described in the following formula: L=λW, or in other words, the long-term average WIP (L) is equal to the long-term average throughput (λ) multiplied by the average wait/process/cycle time (W). This theorem is both simple and profound; while the formula is intuitively easy to grasp, it also means that it is unaffected by other factors such as the arrival process distribution, service distribution, order of process, or for all intents and purposes – anything else! This law therefore holds true for both simple and complex systems of any nature. Okay. So this is interesting (humor me here – let’s assume that if you’re reading this post you are finding this interesting) but what does this mean? 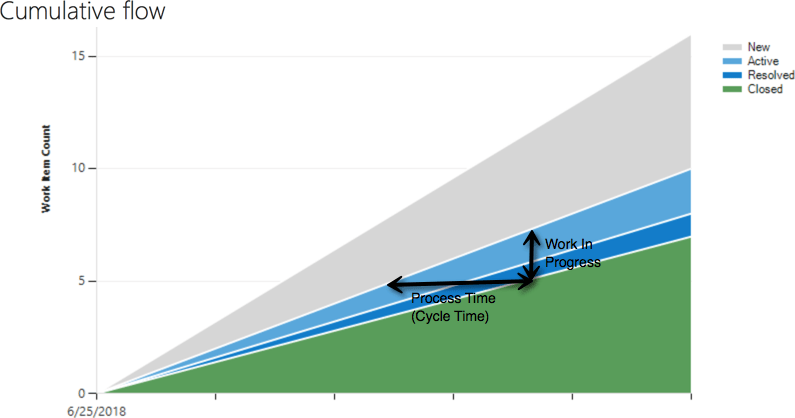 If we play around with the formula, we will arrive at a way to determine the process time – or in product development terms, the amount of time to develop a feature – by dividing the WIP by the system throughput, or W=L/λ. This means that we can reduce the amount of time it will take us to implement features by limiting the amount of items we develop concurrently! This too should be intuitive. Even if we completely ignore all of the disadvantages of multitasking, context shifting, resource allocation, deadlocking, and conflicting priorities, it is simple to see that if we could, for example, complete only 80% of the planned work, it would be more valuable to have 80% of our items 100% done and delivered, than to have started work on all 100% of our items, but each only 80% complete, and in no shape to ship. Yes in the described scenario, as a manager, you could find how to blame your developers for not completing 100% of the planned work, but this was preventable! That’s on you! However, there is another subtle application that is implied by the modified theorem. WIP predicts process time! Predicting process time is not new. We just like to call it estimating. Estimation is defined as making an extremely hopeful guess about the amount of time it will take to develop or (and?) deliver something, based on personal or shared past experiences (or more often, an arbitrary demand, dictated by someone in a higher tax bracket than the people doing the work). Okay, so perhaps it is not defined quite like this, but in all honesty it really should be. Regardless of what technique (if any) you use to come up with your estimates, all of the data that feeds your estimates are based on the past. In other words, they are trailing indicators. This means that the numbers come after the fact – they could be used to explain the previous items’ process time, and we statistically assume (read: hope) that they will hold true for our upcoming work. By contrast, your WIP is a leading indicator! This means that the WIP predicts (affects) the process time for items entering the system, I.e. not yet developed. Note that as our WIP is reduced, so does our process time! We have reduced the time to deliver an item – any item – doing nothing more than limiting the amount of work the team processes concurrently! And this doesn’t even account for the extra benefits that knowledge work such as software development derives from focusing on a single small unit of work! 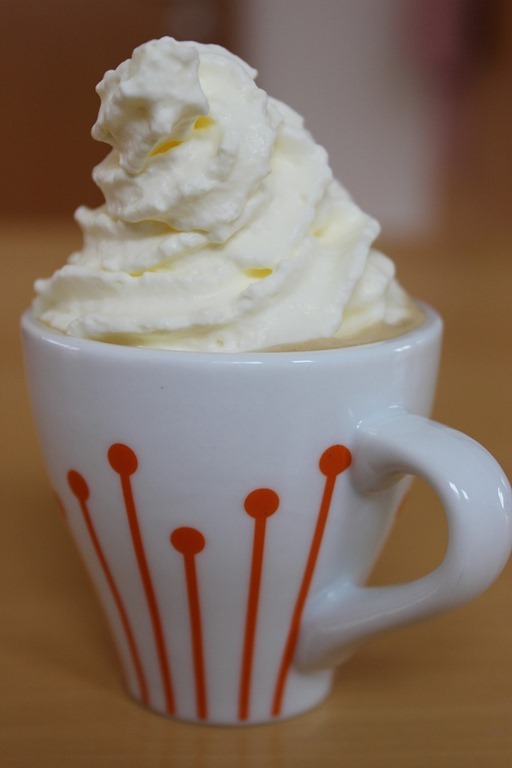 In this blog post we’ve discussed Little’s Law and its implications for product management. Likewise, we demonstrated the importance of WIP limits as leading indicators for process time, and how reducing the amount of work we have in process concurrently reduces the amount of time to process items through the system. Armed with this knowledge I hope you will be able to make use of this because all you need to do is not take on a new job before you are done with (most of) the ones you’ve already begun. WIP simply means work in process (also sometimes, Work In Progress). This metric simply measures how many items (features, stories, backlog items, tasks) your team have started to develop, but have yet to complete. In other words, how many items are currently being developed. This simple metric is extremely important, and a useful number to track and control. In this post we will discuss the reasons for limiting your WIP, how to do so, and how to track your work in process using VSTS. Imagine the following scenario: You are walking down Main street, carrying a box. Not a problem. The box is small enough that you can easily pick it up and carry it from wherever it was that you got it to wherever you are going. All is fine. Now imagine, that you are carrying two boxes. Still not a problem. Granted, carrying one box would be easier, but you believe that the discomfort of carrying two boxes is preferable to the discomfort of having to make the trip twice. You can do it. Now imagine that you are trying to pick up and carry four boxes. Blind, because you cannot see around all of the boxes, you bump into someone else carrying a box, and you both fall, the contents of your boxes spilling, some shattering. What is a WIP Limit? 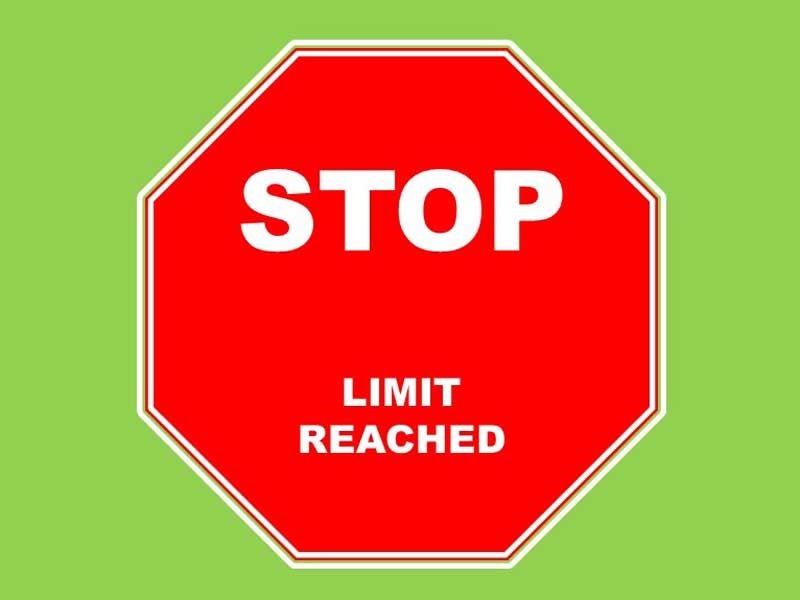 WIP limits are exactly what they sound like – you limit the number of items that you will work on concurrently, not taking on any new work, until the number of items you are developing is less than the limit. In our above story, the poor courier should have set his limit to 3, possibly even 2 in order for his work to flow optimally, or for him to be effective. The courier could easily carry one item, and could increase his throughput when he carried two items, but slowed down when he was carrying three, and literally crashed when trying to manage four. Note that this is purely individual – another courier could possibly manage three or four boxes. I hope the metaphor is obvious. The courier is you and your development team. Boxes are your backlog items – whatever you’re tracking (stories, features, tasks, etc.). Some teams can work on one item in collaboration, others no more than two. A third team might prefer to work on twice as many tasks as they have members. It is individual, and it depends on the team, the individuals, and of course, the nature of their work. But how do you know what limit to set? 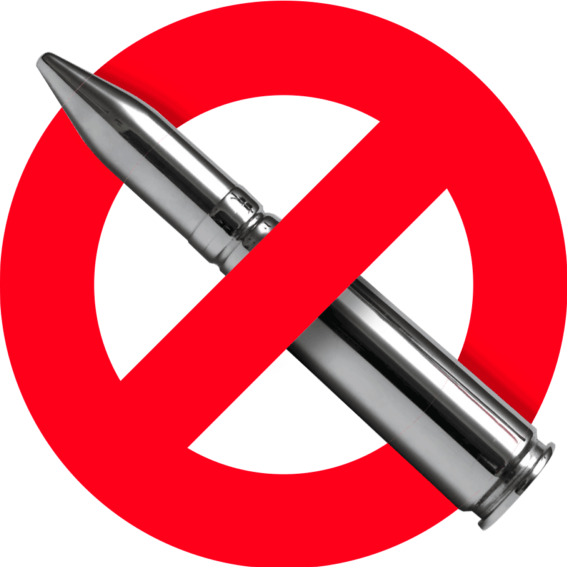 Here’s the simple truth: there are no silver bullets. No one can tell your team what the ideal WIP limit is. You should start with whatever makes sense to your team. Change that number to whatever makes sense to you. 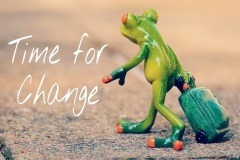 Change it when circumstances change. Change it to experiment. If your team tends to collaborate frequently, start with a low number – three, because why not three… If your team rarely collaborates, start with a higher number, tied to the number of developers you have on your team, e.g. 1 or 2 per team member, plus/minus 1. At a regular cadence, for example, every sprint retrospective, evaluate the numbers. Experiment with lowering your WIP limit. After a period of time, look at your metrics. Did they improve? If so, great! Keep on doing what you’re doing. If not, either adjust (increase) your WIP limit or adjust your practices so that you perform better at the lower limit. Measure again. Rinse and repeat. Limiting your WIP is a practice that should be mostly autonomous, that is to say, at the team’s discretion. As such, you need to set it and visualize it where the team visualizes their work. 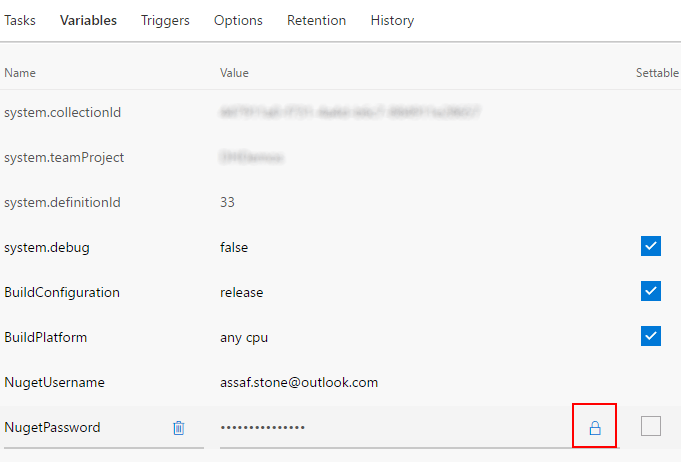 If you go to VSTS’s boards, you will notice two numbers beside the name of each column (except for the ‘New’ and ‘Done’ columns). The first number represents the number of items in the column, the second represents the WIP limit. 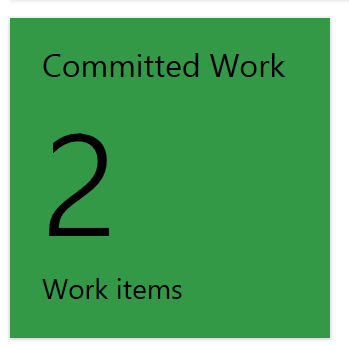 In the following board, the ‘Approved’ column has a WIP limit of 5, meaning that the team must approve (or refine) a work item before they can consider a sixth item. This team’s ‘Committed’ WIP limit is set to 6, meaning that they can work on no more than 6 concurrent work items, as a whole team. The VSTS boards put this information in the team members’ faces, enough to be noticed, but not so much as to get in the way of progress. This may be enough for the team. Some teams may want more. Some teams may want to have this displayed on the team’s dashboard, where it might be visible to anybody, or always visible. Perhaps the Scrum Master or the team leader may want to know what is going on. Perhaps they want to show the dashboard to middle management in order to prove that reducing WIP is important. 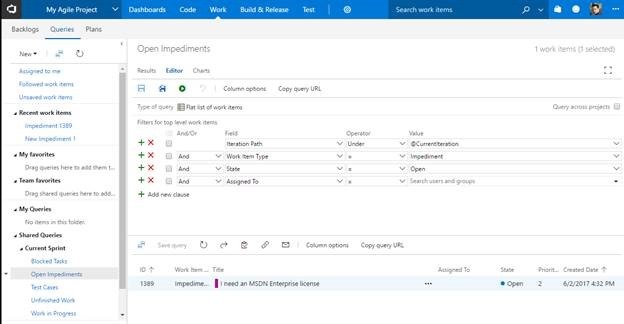 One thing you might do is add a Work Item Query that tracks the work items in a given column (add a where clause like Board Column = Committed), and add a Query Tile to your dashboard that counts the number of items returned by the query. 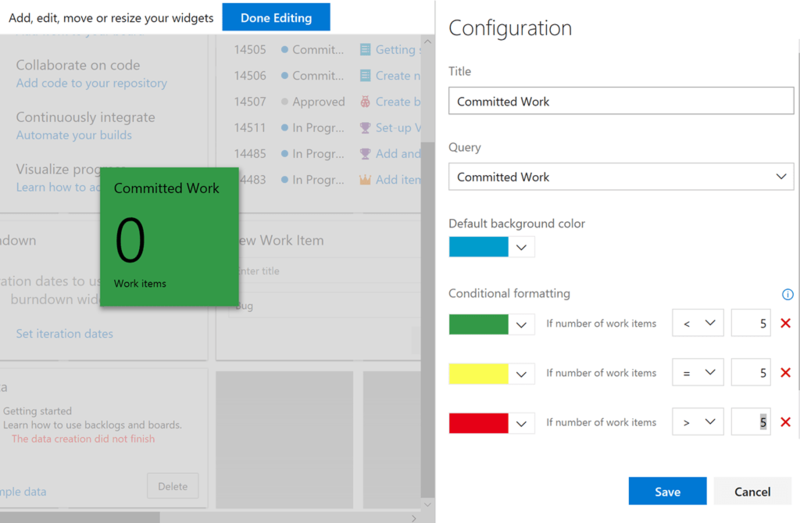 In this blog post, we’ve discussed what WIP limit is, how to set it, and how to track it in VSTS. In the next post, we will discuss why reducing the WIP limit is so important, and how to incorporate WIP limit management into your real, day-to-day, corporate life. In the previous post we discussed risk management, how many of us manage it today by attempting to control the likelihood of failure, and why we should instead focus on reducing the impact of failures, as a way to manage the risks involved with software development. 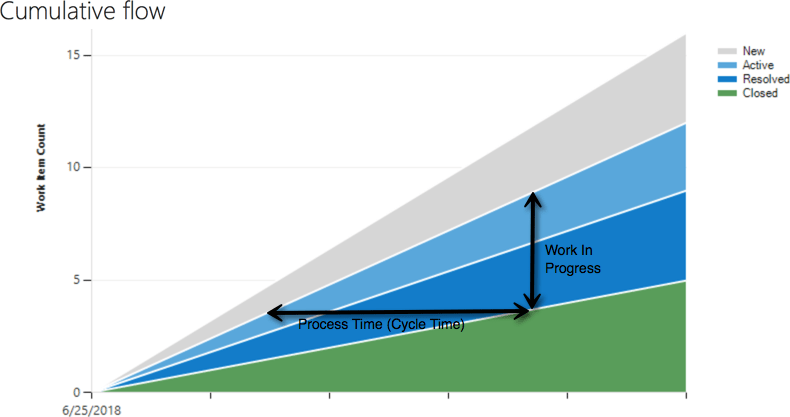 Smaller workloads take less time to complete – in each phase, and altogether. Smaller workloads include less functionality, thus fewer potential flaws, each likely to have a smaller impact on the system as a whole. Small batches are easier to deploy, thus easier to revert – or rather it is easier to design a successful rollback plan, meaning that the recovery time will be shorter. Less functionality in a deployment unit results into a smaller area of impact. 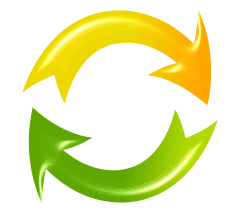 Faster deployments with faster rollback options result in a reduced time to recover, thus reducing the impact on the system. Reducing the batch size exponentially reduces the impact of failure on the system. Developers depend on feedback in order to know whether or not, they created the right thing, as well as whether or not they created the thing right. Building the system every time changes are made is a good start, and running automated unit tests is even better, but some defects may only be detected in production or a production-like environment! Reduced feedback cycle, therefore, results in faster fixes, thus reducing the impact of failures, while the increased learning results in a happy side-effect of reduced likelihood of failure. Risk aversion, or fear of failure, is the primary reason that we have so many audits, checks and controls, and sign-offs for every single change that we introduce in the system. 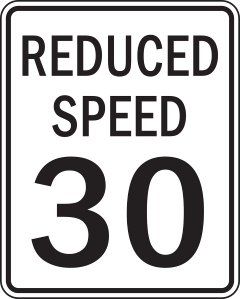 As mentioned in the previous post, these measures are expensive (time-wise) and ineffective at reducing risk; they are introduced too late in the development lifecycle to serve as an efficient method of reducing risk. Worse, most of these controls delay the deployment of changes into production by days, even weeks, thus increasing the feedback cycle, effectively increasing the impact and likelihood of failure! See the irony here? The very measures taken to mitigate risk actually make it worse! By replacing post-factum audits and governance boards with automated checks that analyze the code, and test it in a production-like environment, and by discussing operational concerns earlier in the planning process, we can introduce these audits earlier in the lifecycle, even as early as while the developer is coding! Automation also helps reduce the cost and the length of the feedback cycle. With earlier and faster warnings, fewer quality issues will reach production. Those that do get through these measures are likely to be the smaller and less significant ones. This means that both impact and likelihood will be reduced. It is difficult or impossible to deliver changes to part of a monolith; monolith deployments are usually an all-or-nothing endeavor. Tightly coupled, monoliths are often designed in a way that if one part of a workflow fails, the entire workflow crashes. Deploy each component separately, ensuring that defects introduced into a system component are isolated from other components, reducing the impact of failures to one localized component. Rather than fail the workflow if something goes wrong, we can flag defective messages for service teams to handle, notify the user that completion is delayed, and eventually complete each flow when services are restored, thus reducing the impact of failure even further. As a bonus, decoupled systems are much easier to scale as demand for services increase. A whole class of problems can be completely avoided by architecting loosely coupled systems. As for performance concerns, make sure that you are developing for good enough performance, rather than best. Remember that Good Enough is by definition – good enough. Whether your development and operations team(s) use Scrum, Kanban or any other agile methodology or framework to drive the product, the key to successful risk management is to uphold and improve the quality level you demand for anything that you develop and deploy to production. Following any and all of the aforementioned techniques will greatly reduce the risk to your production pipeline, but never totally eliminate risk. The most important way is to make sure that the same issue does not cause a failure twice. Any failure that does get through whatever quality measures you already have in place, must be analyzed, and you must figure out how to make sure that this class of problems never goes uncaught again. By rigorously applying this technique, you will be able to continuously improve your quality controls, ensuring that failures consistently grow smaller until they are no more than a nuisance. Nobody and nothing is perfect. How ever some are closer to perfection than others. If any or all of these ideas are new to you, I would highly recommend that you start with your definition of done, and look at the most harmful failures that you have recently had, and identify the measures that are most valuable for you to introduce into your production line! And then move on to the next one. No offense, but despite your best intentions, you might not be handling risk properly. In this day and age, everything is software-dependent; even if you do not consider yourself a “software-firm” per-se, even if you are just running a small development team that develops in-house software, your business still depends on said software to run smoothly, and any outages cost money. The bigger the problem, the greater the cost. 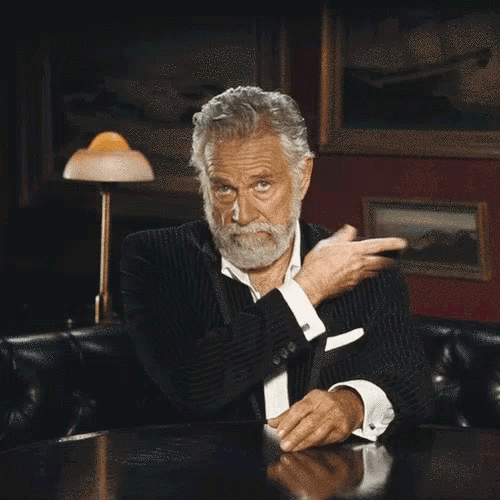 If you, like many other modern software-based organizations, try to reduce risk by taking every precaution to avoid the occurrence of failures, then I am talking to you. If you are (still) following the waterfall methodology (why would you do that??? ), then I am definitely talking to you. 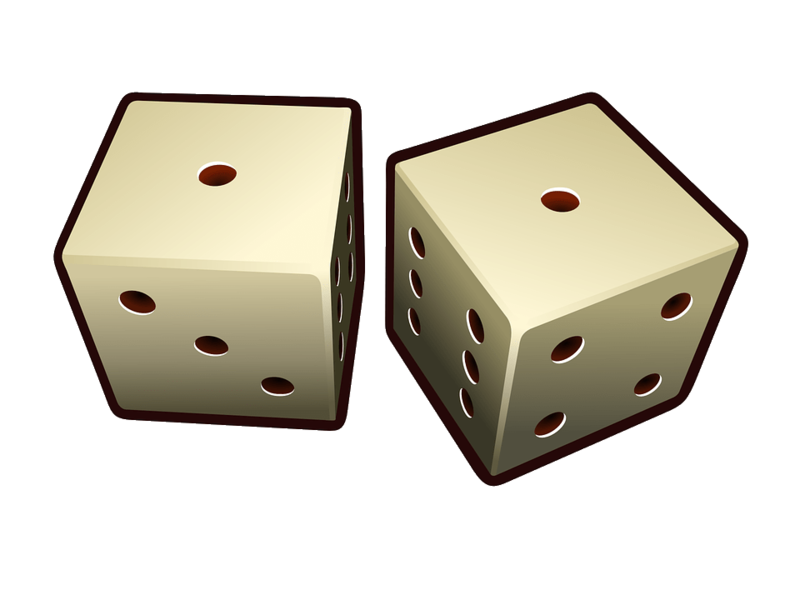 In this blog post I will explain what is fundamentally wrong with the waterfall way of addressing risk, why you should resist the temptation to avoid failure, and what you should be doing instead, in order to truly reduce risk that is inherent to delivering software. What is Wrong with Waterfall? When following waterfall-based methodologies, software projects get developed in phases – first you gather all of the requirements (system, software), then you analyze the requirements and come up with a program design to satisfy the requirements. Once designed, you implement, or develop it. Once the development is done, you (hopefully) test the system thoroughly, and finally, you hand it over to operations, to deploy it and maintain it. So, what is so fundamentally wrong with that, you might ask. This is a very simple and straightforward process. The problem is, of course, that, as even Winston Royce, the author of the now infamous paper about from 1970 titled “Managing the Development of Large Software Systems” said, this can only work for the most simple and straight forward projects. It boils down to this: Software development is complicated. In waterfall, we proceed from one phase to the next, when the former completes successfully. Unfortunately, success is by no means guaranteed, or even likely. Worse, we tend to detect most problems only after we completed the development phase, during the testing phase, deployment phase, or worst of all, only after we have already released the flaws into production. What really makes this difficult, is that some of the problems that we uncover may have been introduced prior to development (the design, analysis or even requirement gathering), and as everyone knows, the cost of fixing a problem grows exponentially over time. So what do we do? How do we mitigate the risk that we might introduce a costly flaw into the system? Intuitively, we attempt to get everything right the first time. We try to think of everything that the system or software might require, create comprehensive design documentation that proves that we thought really hard about the problem, and create lengthy, highly regulated processes and checks that prove that we crossed every ‘T’ and dotted every ‘I’ (and a few lowercase J’s for extra measure). In other words, we attempt to reduce risk by reducing the likelihood of a problem/incident. And here our intuition fails us. So we set up policies, we come up with plans, we have audits, we enforce waiting periods, we have sign-offs, and because releasing new software is so complicated and scary, we do so rarely, often no more that four times per year. But here’s the problem – we aren’t eliminating risk. We are – at best – reducing the likelihood of something getting through our safety gates. This means that things will get through eventually, because given enough time, anything that can happen, eventually will. And when failure does happen, the flaw in the system expresses itself in its full glory. In other words, there might be a 1% chance of a bug reaching production, but when it does, it’ll be there 100%! All of our audits, sign-offs, and controls fail to stop us from making mistakes. At best they catch some of the mistakes that we’ve made when it is expensive to fix them; often the mistakes get caught too late – discovered flaws become too hard or too expensive to fix. These defects get shipped anyway, hopefully fixed in a service update. Worse, and all-too-often, these audits, controls and sign-offs do nothing to help identify problems, and are instead in place in order to identify whom to blame for the failures – a useless endeavor, in my opinion. Worst of all, our lengthy processes delay the feedback that analysts, architects, and developers need, making it impossible to learn from mistakes! A bug found 6 months after it was introduced, will do nothing to teach the responsible party how to avoid making the same mistake again. Cause and effect becomes all but lost at this point. Finally, due to the infrequency of releases, we are not used to dealing with deployment-related issues, and therefore we are surprised and scared every single time we have them. Manage Risk by Reducing the Impact of a Problem! What if rather than attempting to minimize the chance that something goes wrong, we instead try to reduce how badly the problems affect us? Ask yourself this, given the choice between having a 1% chance of suffering a heart-attack, or a 100% chance to suffer something that is 1% the strength of a heart-attack, perhaps a flutter, or skipping a beat – which would you pick? I’d definitely go with the latter. In software development, not only is the likelihood of a production-failure more than 1% likely to occur, it does so every quarter or however frequently you release changes. 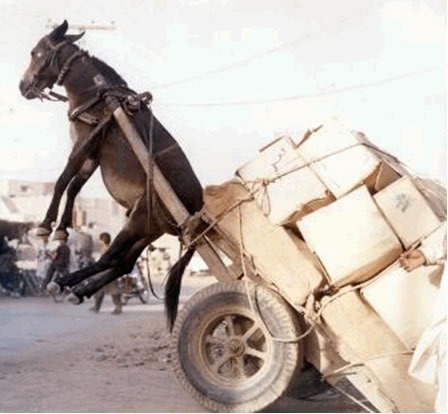 We should follow methodologies that allow us to reduce the size of our workload. In Kanban, we focus on single-item flow. In Scrum, we iterate through our entire release process in one month or less. High-performing teams deploy to production small increments of functionality even more frequently, often multiple times per day! In the next post, I will cover the steps that an organization can take, to reduce the impact of the risks involved with developing software. Both VSTS (Team Services) and TFS (Team Foundation Server) have a set organizational hierarchy. An individual developer belongs to a team. 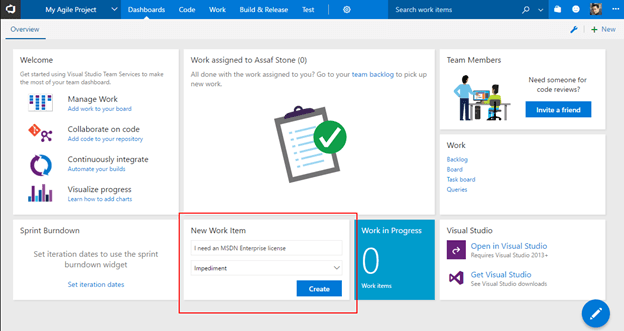 A project (also called Team Project, or TP) has multiple teams, and a VSTS account – as well as a TFS collection – contain multiple projects. While it is possible to run queries in Team Services and TFS that return data from multiple projects, and in TFS, reports that bring data from multiple data sources (i.e. 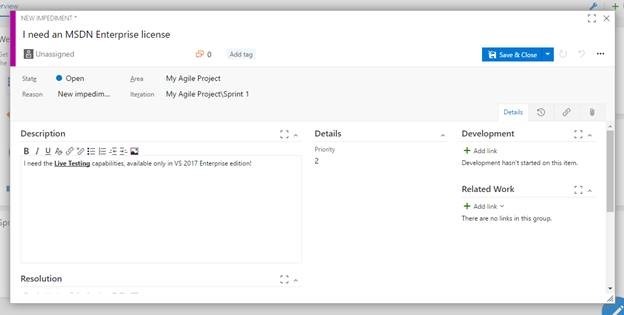 multiple collections), the agile governance tools that VSTS and TFS offer do not aggregate beyond the project level. This means that the hierarchy that VSTS offers has 3 levels: Project, Team, and Developer. In this post, I will show you how to set up VSTS so that you can create a larger reporting hierarchy, with as many levels as you want. Teams, Teams, and more Teams! First, a disclaimer – the following technique, while giving us almost everything that we could need out of multiple hierarchies, cannot create new types of containers or entities. The highest level is still the project, and individual members still belong to teams. What we can do is set up teams within teams – or at least create the illusion of having done so. 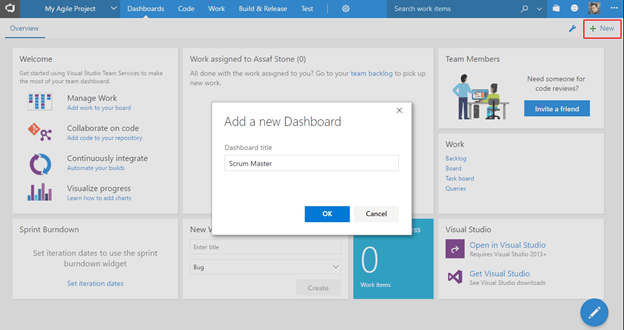 A team in VSTS has the following attributes – it has members (the individual developers), it has its own set of dashboards, its backlogs and boards, and it is assigned an Area under the project. 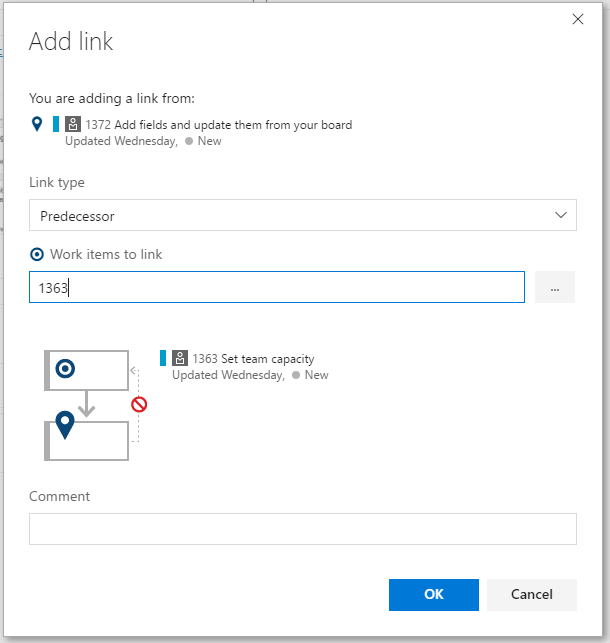 The way that we specify that a work item is assigned to a certain team, is by specifying that the item’s Area Path is in or under an area assigned to said team. The trick that we will use to accomplish our goal, is to create teams whose areas are under the area of another team. Each “level” will be a different hierarchical level. We will usually assign the products highest governance (or steering) team to the project root. Again, the teams themselves are “flat” there is no team hierarchy. The illusion is created by assigning some teams a default area that is a “parent node” for another team’s area. 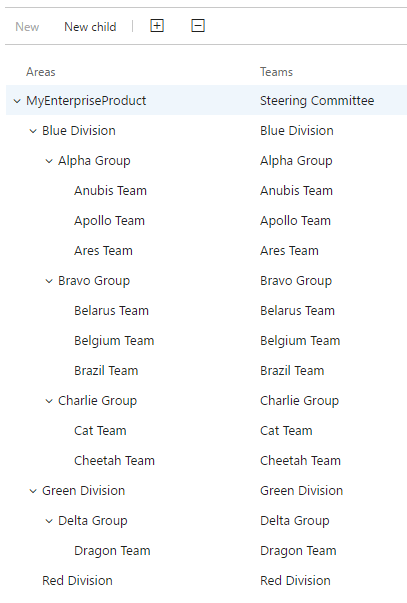 In this example, Alpha Group’s area is MyEnterpriseProduct\Blue Division\Alpha Group, and the Apollo team is MyEnterpriseProduct\Blue Division\Alpha Group\Alpha Team, which is beneath it, but neither team has any other attribute that marks one as higher than another, hence the “illusion”. So we have successfully created a list of teams, some assigned to areas above others. How do we make sure that the illusion is kept when dealing with boards, backlogs and dashboards? Setting the teams like this gives groups a supervisory view of teams, divisions of groups, and the “steering committee” can oversee all of the work being done in the project. 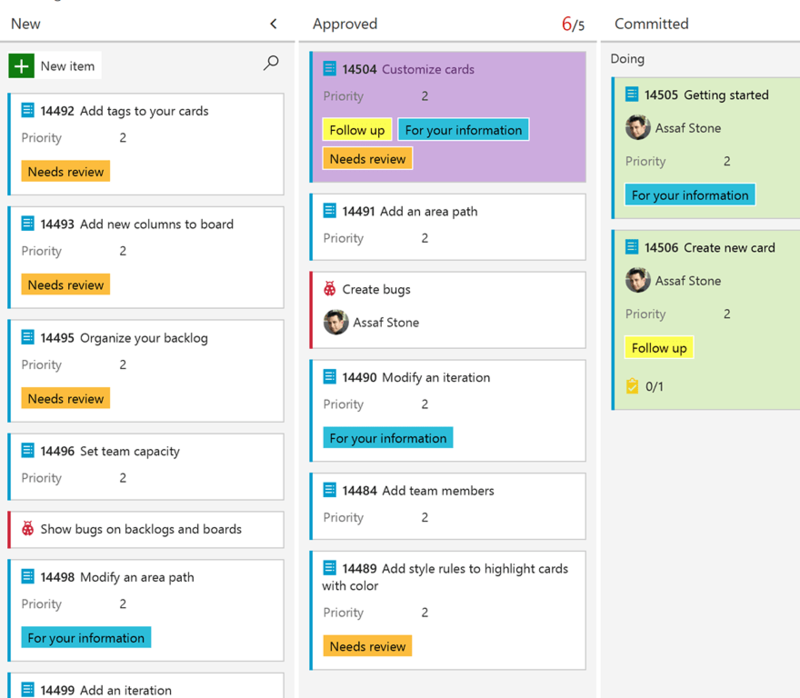 This filtering is preserved for the Kanban and Scrum boards as well, and each division, group, and team can have their own set of dashboards to highlight whatever they want to see and use to drive their decision making! 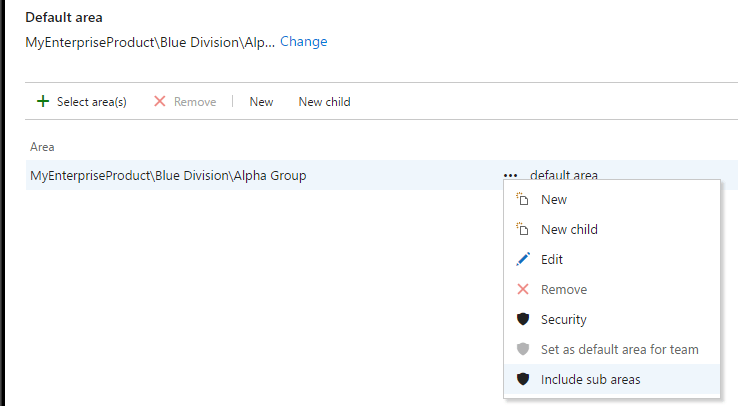 By creating an Area tree that matches the organizational hierarchy, and assigning teams to their proper nodes, VSTS teams can be made to create a hierarchy as high as the group needs it to be! I hope you find this useful. If there are any questions, please feel free to ping me in the comments! 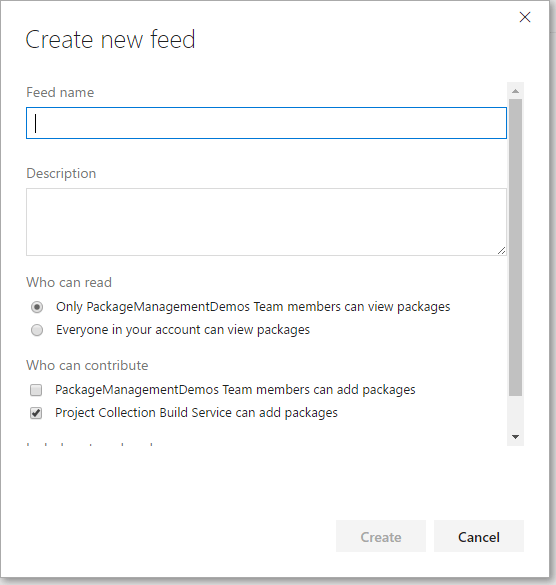 In the following post, we will look at the difficulties in consuming packages from a different VSTS account, as part of a build process in our own account. Visual Studio Team Services (VSTS) offers package management services. As per the documentation, this is “an extension that makes it easy to discover, install and publish packages”. Team Services enables teams to collaborate with other teams through versioned, cohesive libraries and APIs, in the same way that many 3rd party vendors offer their libraries and frameworks today. 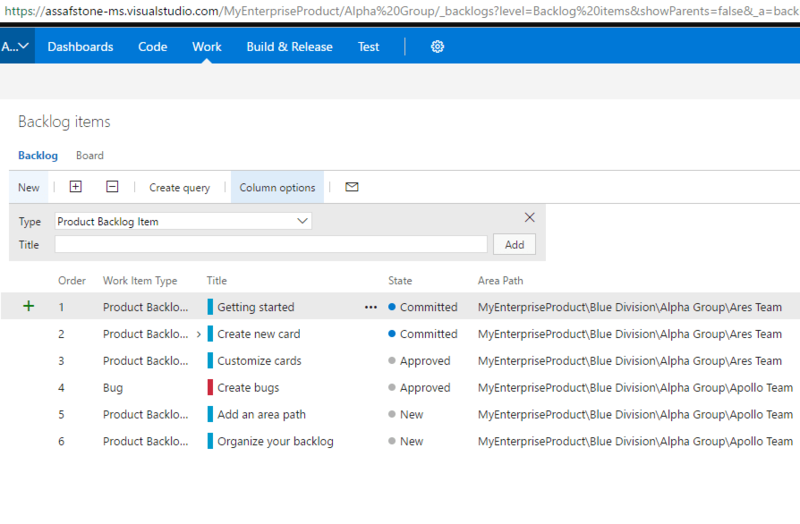 In fact, VSTS Package Management exposes the most common package management services that developers use today – NuGet for .NET developers, NPM for NodeJS developers, and now in public preview, Java packages can be served as well. You have two choices regarding the contribution of packages to the feed. You can specify that any of the team members (i.e. those who are members of the hosting team project) can add packages, and/or the build service account (i.e. the service account used to run builds in VSTS). Note that you will want to specify the latter if you use the build service to publish the packages (you should). You normally wouldn’t need to add permissions for the team members as well. You also have two choices for controlling access to consumption of the feed as well. You can either limit access so that only members of the project can consume the feed’s packages, or you can allow everyone in the account. This works fine for most organizations. Not for all, however. Some organizations own multiple VSTS accounts. For some the decision simply grew organically, with various teams trying out the services, and chose to stay this way because there is no easy migration path for a project from one account to another. Others intentionally decided to keep multiple accounts, one for each internal organization (different divisions, for example). Regardless of the reasons, the situation may arise, where components developed in and published by one account need to be consumed by components that are being developed in another account. Unfortunately, this option does not exist. VSTS does not allow you to specify that you want to give access to members of another account. How Can We Consume Packages from Another Account’s Feed? The problem that we are trying to solve is the consumption of packages from Account A, in a build definition that builds an application under Account B. What we will need to do is to overcome the limitations that are set by VSTS’s package management services, and somehow access Account A, with a set of credentials that it will accept. The first thing you need to do, is to gain access to the account. You need credentials that allow you to view packages. This will be given to you by administrators of that account. You will be given a username, and a Personal Access Token, or PAT (see documentation about creating and using PATs). Your PAT will (ideally) be configured to grant you read access to Packaging for the required account. Next, you will need to add the credentials for the package manager’s account to the build definition. You will store these as variables. Be sure to encrypt the PAT – you do not want any passwords to be saved in plaintext! In the next step, you will need to create a custom source for accessing the other account’s feed. You will need a Command Line build task, and you will be running against the nuget.exe CLI tool. The simplest way to do this is to add nuget.exe to your source control. I prefer to put it under the solution, in a subfolder named Tools. You will need to call the sources Add command, and specify the name of the feed, its URL, and the username and password/PAT. You will also specify which NuGet configuration file you are going to modify with this setting. Note that you will want to set the name of the feed to be the same one that you specified in Visual Studio, when building your application. Your build definition is now able to restore NuGet packages that are published by another Account! 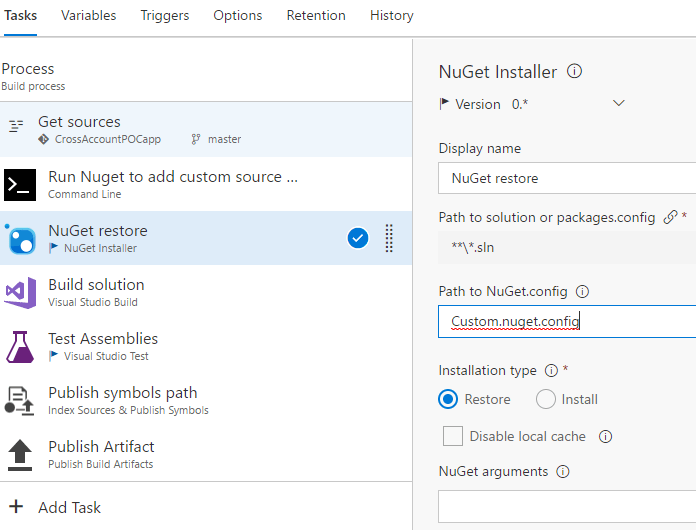 In this blog post, you have learned how to configure NuGet in a VSTS build definition so that it can consume packages that are published by a different VSTS account. 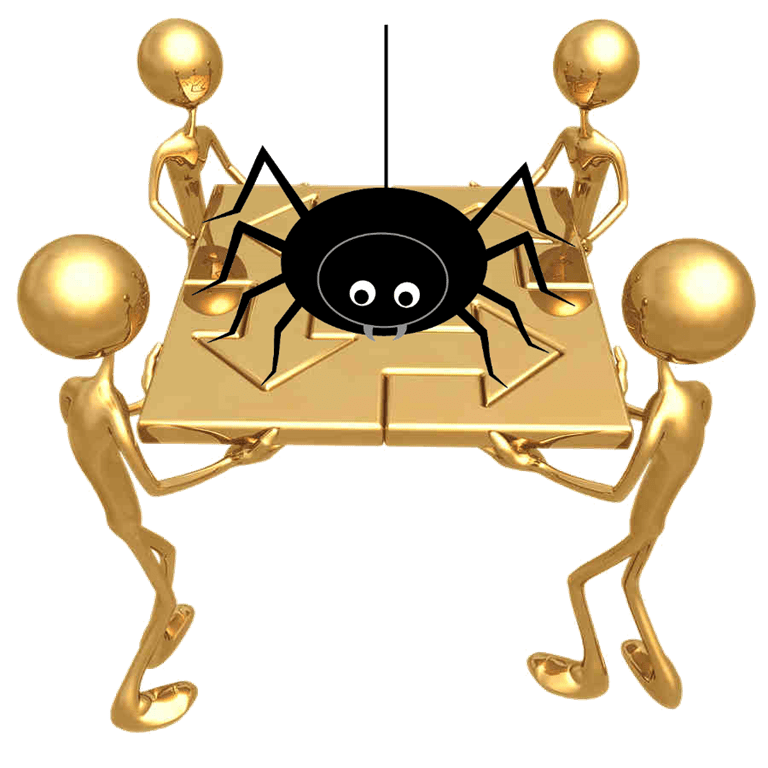 In this post, I will cover what Scrum Nexus is, where, when, and why you would want to use it, and how to set up VSTS best to accommodate your Scrum practices. As VSTS’s tooling is not yet perfect for some of Nexus’s practices, I will discuss some viable fallbacks and workarounds. Scrum.org’s official Scrum guide defines Scrum as “A process framework used to manage complex product development”. Scrum’s events, artifacts and rules revolve around a Scrum team, which consists of a Scrum Master, Product owner, and 3-9 development team members (a.k.a. developers). This limit on team size is important. For Scrum to succeed, the team must consist of developers who can cover all the work required for the product to be delivered at the requisite quality level. If, however, there are fewer than 3 developers, the team is likely to miss some skills required to deliver the product. More than 9 team members, will require too great an effort to coordinate, and result in an unmanageable process. Therefore, when delivering a large product, as is often the case in enterprise-level projects, the organization must scale beyond the single Scrum team. A framework is required to manage and coordinate the work of multiple Scrum teams. Scrum.org defines Nexus as “an exoskeleton that extends Scrum to guide multiple Scrum team on how they need to work together to deliver working software every Sprint”. While there are other systems out there for scaling Scrum, from a simple (and somewhat naïve) “Scrum of Scrums”, where Scrum Masters get together to coordinate the teams’ interdependencies, to full blown complex frameworks such as SAFe, I tend to prefer working with Nexus, as it is a simple extension of Scrum. It builds upon the knowledge that teams have working with Scrum, and applies the same processes, artifacts, and roles, to a larger scale, introducing minor tweaks, rather than new complex mechanics. 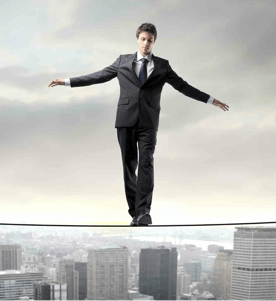 Nexus revolves around the notions that teams minimize risk by minimizing interdependencies. A special integration team (called the Nexus Integration Team, or NIT) is formed. The NIT is responsible to uncover and manage whatever dependencies exist between teams’ work items, by eliminating or carefully controlling their impact. The NIT is also responsible to guide the Scrum teams towards continuously integrating their work, to reduce the risk that comes from large integrations at the end of a sprint or a release. The Nexus Integration Team members include cross-functional developers, such as the product’s DBA, build-master, architects, technical writer, and anyone who may be of greater use the organization as a coordinator of the integrated product, than a member of one Scrum team. The NIT has one Scrum Master, who depending on the teams, may be the one Scrum Master for the entire product, or just for the NIT. In any case the product must have one, and only one, product owner. First things first – There should be one and only one team project for the entire product. 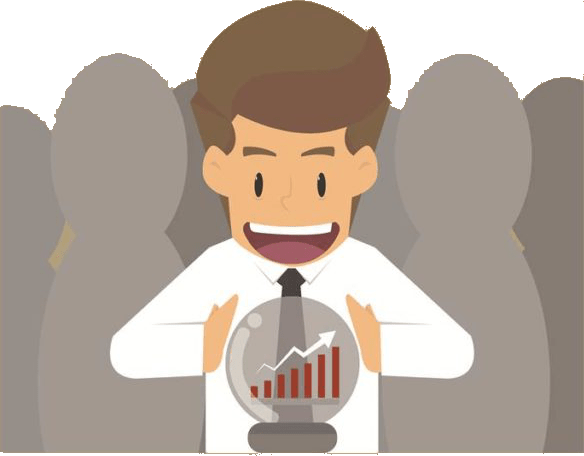 You want to be able to view the entire backlog, measure, query, and track progress for the entire product, and you want to be able to view charts and reports that aggregate data for the entire product. If you separate the product so that each team has its own “Team Project”, you will not be able to do so. 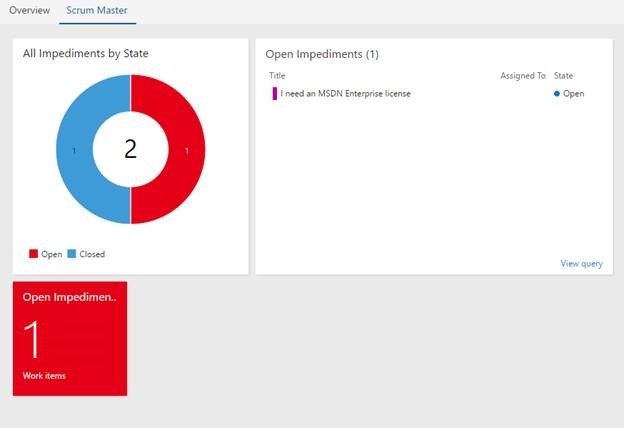 The Work tracking and dashboard capabilities of VSTS are limited by scope to a single Team Project. 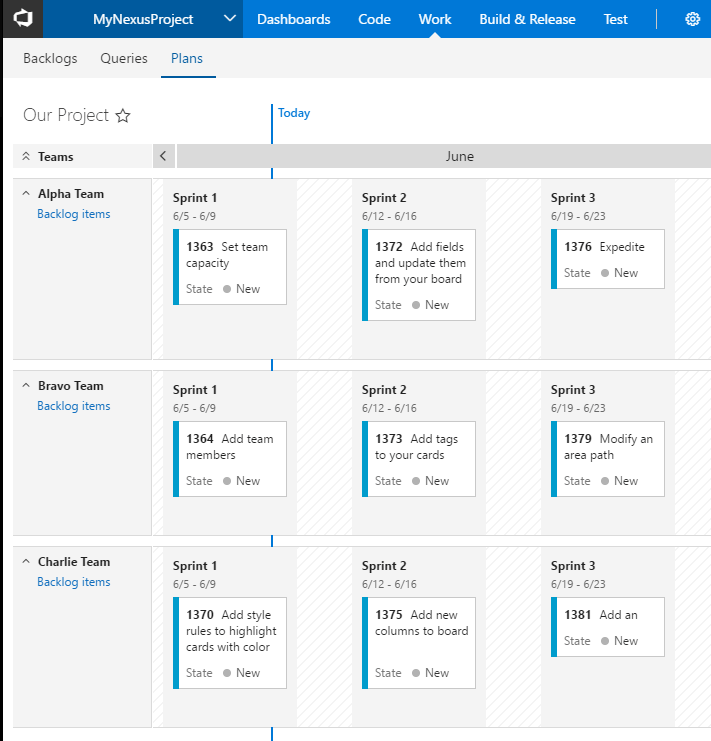 You cannot split a backlog, or visualize a Kanban board across multiple team projects. 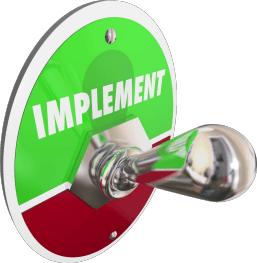 This choice does have some limitations – the entire product, including all of its teams will have to follow the same process template, though if you have already decided to follow Scrum and Nexus, this should not be an issue. According to the Scrum guide, if you have multiple teams working on the same product, they should be delivering together on the same cadence. In VSTS, this means that there should be a single iteration cadence that all teams follow. All teams start together and end together because the integrated product increment is delivered at the end of every sprint. In Nexus, there is a unique event that is added to all other events that normally occur in Scrum. This event is called the Nexus Sprint Planning session. In this meeting, the product owner and the NIT review the upcoming work and coordinate what PBI will be addressed in which sprint, by which team. In addition, the Nexus Integration Team is responsible for coordinating of the integration of all teams’ work, on a daily basis. 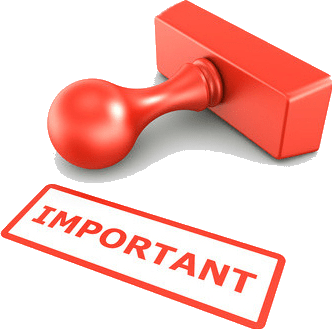 In order to accommodate these needs, the NIT’s backlogs and boards will be configured to view not only the work items (Epics, features, and/or PBIs) that are in the NIT’s area (the root area for the project), but also the work in each of the areas beneath it, i.e. work that has been associated with the Scrum teams. This way, the integration team can visualize all of the PBIs on their board, and be ready whenever a PBI is ready for integration (e.g. moved to a column entitled “Integrate” – you will want to create this column). · When interdependent PBIs are handled by different teams (e.g. 1 & 5, below), the risk is greater than when both PBIs are handled by the same team (e.g. 1 & 4) because coordination is more complex. · When PBIs are not only handled by different teams, they also are expected to be completed in the same sprint (e.g. 4 & 5), the urgency requires greater coordination, and the risk is even higher. 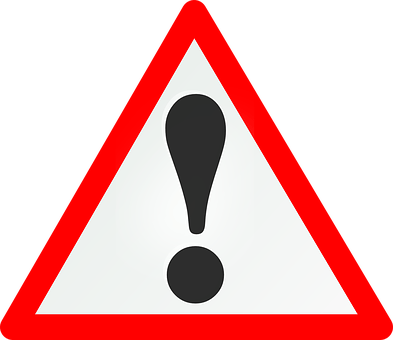 · When there is a dependency on a PBI by someone outside the project, the risk is greater because there is likely to be an important commitment (e.g. 8). This risk goes up even further, if the PBI is needed by the end of this sprint (e.g. 9)! 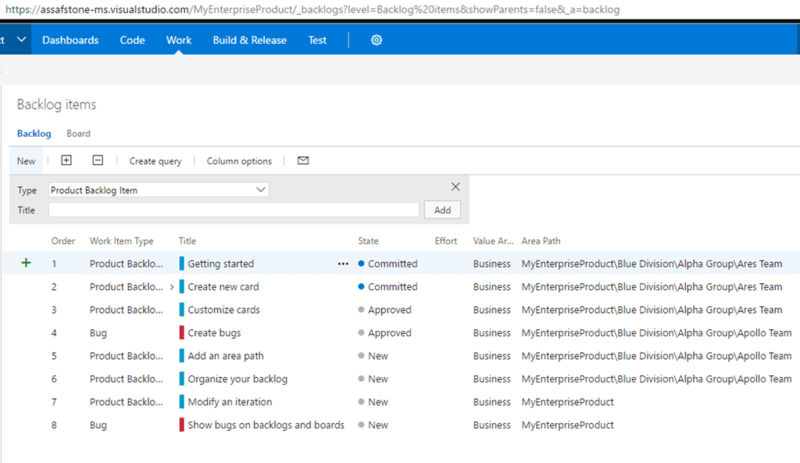 The delivery plans extension does not have the ability to visualize and track dependencies between backlog items. Yet. The product group has mentioned that this capability is on the roadmap, but I cannot confirm when this will be delivered. In the meantime, we need to come up with a way to mitigate this drawback. While this will set the work items’ interdependencies, this will not show up in the plan. At least not as of today. 10. Mark the kind of dependency with a tag, so that it can be seen in the plan. I hope you find this useful. If you have found other tip and ideas to help drive Nexus, please share them with us!